Would you like to work in the exciting world of makeup and beauty? Gain the practical skills to kick off a creative career in this dynamic industry by completing the Certificate III in Makeup (SHB30215). This Sydney makeup course will provide you with the fundamental professional skills and knowledge you need for a successful career in makeup and beauty. Once you’ve finished, you’ll be able to express your talent at events such as weddings, formals, photoshoots and makeup counter demonstrations. You’ll learn a variety of makeup skills, from creative to airbrush and photography makeup, in a professional studio environment with highly skilled trainers. Students in year 11 or 12 may undertake this course as part of the VET in schools program, to contribute towards their Higher School Certificate. 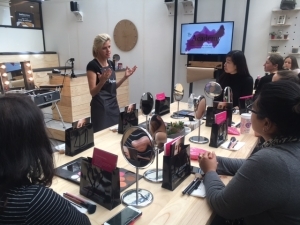 Makeup School Sydney is a boutique makeup college and Registered Training Organisation specialising in the delivery of Sydney makeup courses for makeup artists. 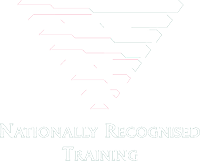 The Nationally Recognised Certificate III in Makeup SHB30215 provides you with the technical and practical skills to work in any aspect of the industry and you train in a lively studio that is fully equipped for makeup professionals. Jay Jay is the founder and director of Makeup School Sydney. She has 25 years experience in professional makeup working with international models, photographers and high-profile celebrities. Makeup School Sydney now offers the 3 month full-time accredited makeup course, the Certificate III (SHB30215) in Makeup, for $5500 (payment options and study loans available). This includes all study materials and a full professional Makeup Starter Kit.